IMPORTANT: This guide should only be used if you are intending to send Moneysoft a copy of your payroll data file for help with a support issue. You should NOT use this procedure to create your own backup copies of payroll data! Sometimes it may be necessary to send a copy of your data file to Moneysoft if you have a payroll support query that cannot be answered otherwise. In such cases it is possible to create an ‘anonymous’ copy of your data file whereby the personal details of each employee (i.e. name, address, National Insurance number etc) are replaced with substitute characters so that their identities are ‘anomolised’. Hold down the ‘ CRTL – ALT – Z ‘ keys on your keyboard – (all at the same time) and then release the keys – (you won’t actually see anything happening at this point). Click ‘Employees’ then ‘ Employee Details’ from main menu. You will see that each employee has been assigned an ‘internal ID’ (below). 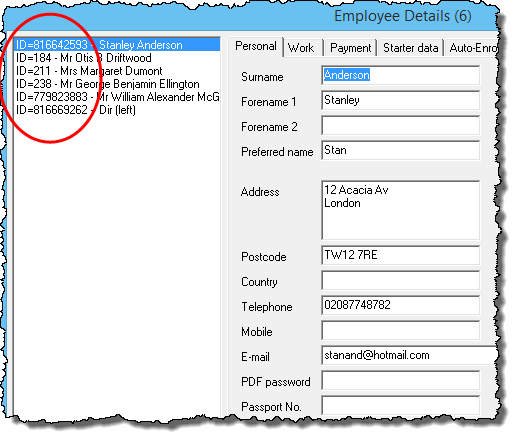 The ‘Internal ID’ is specific to the Payroll Manager data file and has nothing to do with the actual works number/payroll ID or NI number – it simply serves as a way to refer to each employee. If your query relates to one or more employees specifically then you should make a note of this Internal ID and refer to it in your email to us. This will enable us to identify the employee record in question without needing to know their personal details. 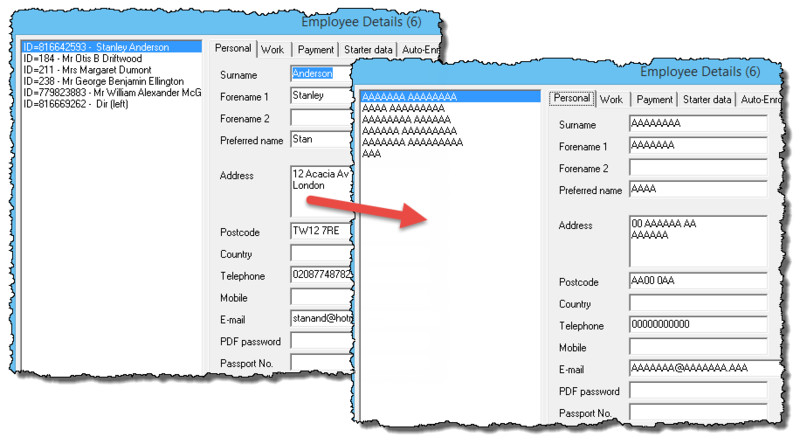 Please note that these ‘Intenal IDs’ will not be retained in the normal working copy of your Payroll Manager file and will disappear once you close and reopen the file. A message will appear encouraging you to read the guidance notes on creating an anonymous backup. Answer ‘No‘ to this question as you are already reading these notes! You should now close down Payroll Manager entirely and view the ‘Desktop‘ of your computer. 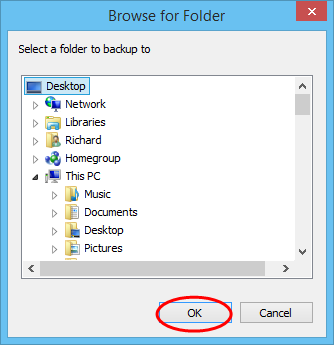 The anonymous backup will appear on your desktop as below – i.e. a ‘white P’ on a ‘grey square’. The file has an extension of .apb (which stands for ‘anonymous payroll backup’). Very important: You should not open the anonymous backup copy of the file. You should send the file to us via email (support@moneysoft.co.uk) with a description of the problem and referencing (if applicable) the ‘internal ID’ of the employee concerned. You should not include any personal information about any of the employees concerned in the body of your email. In the anonymous copy of the file, the employee details will have been replaced by a series of letters and numbers (as below), although the actual pay details remain unchanged. The date of birth of the employee is also retained as this affects various payroll calculations (e.g. National Insurance contributions), although this information alone does not allow the employee to be identified. This copy of the file cannot be saved or edited in any way and you should delete it once you have sent your copy to Moneysoft.